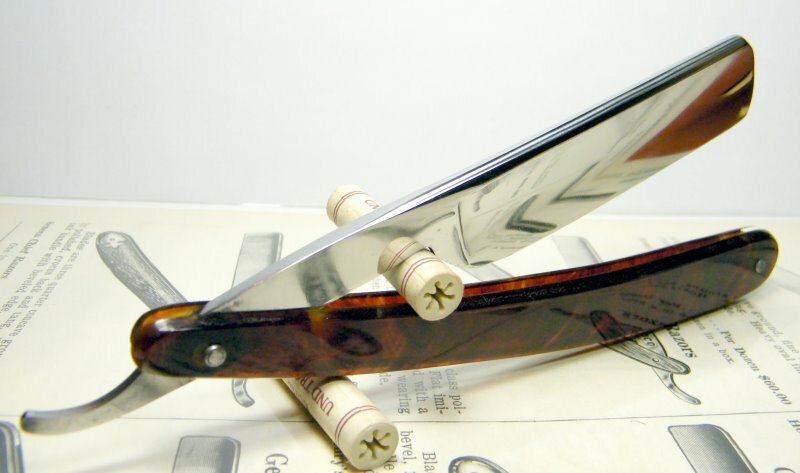 STRAZORS.com - all about classic razors - Gebruder Geldmacher, Solingen. 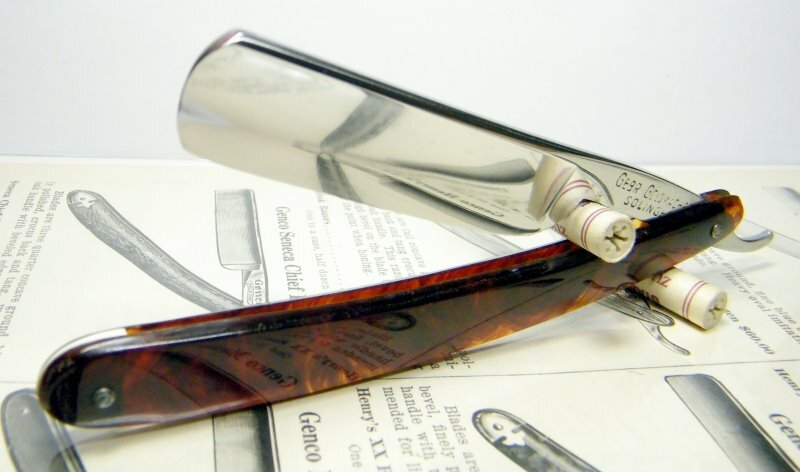 The razor was made by Gebrüder Geldmacher, Solingen, Behringstrasse 37-41 in 1939. Gebrüder Geldmacher was also the owner of the Bartmann trademark. The blade is about 11/16, round point, full hollow ground.